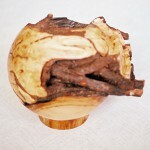 Gordon Cookson and his friends from the Middlesex Woodturners Association are exhibiting and demonstrating at the event. Gordon will be demonstrating on Tuesday May 29th and Thursday May 31st. There is a good cafe on the site.